Most organized sports award some kind of recognition to the top athlete or team within the sport over some time period. The form these awards take varies from sport to sport. Amateur sports tend to use medals (like those awarded at the Olympics); professional sports often award trophies, but I've also seen individual rings and other similar items. All of the professional "combat" sports, i.e. boxing, MMA, and wrestling, have always recognized their title holders with a belt: a strap that can be worn around the waist, but which contains an over-sized and highly decorative "buckle" on the front. This form of award is so common that not using it always appears to be a cheap gimmick. Is there any historical reason why belts are so universal in such sports, but relatively rare elsewhere? I can only find one case where a non-combat sport used a belt -- a single NASCAR race in Vegas awards a belt instead of a trophy, but even that appears to be a gimmick based on the fact that Vegas is famous for boxing, which awards belts. After some research, I believe that Wrestling and MMA copied boxing's practice of a championship belt. Let's start with MMA. When UFC began it followed the accepted practice of awarding championship belts, as WWE and WBO do. UFC simply followed along with it's contemporaries. The first belt awarded to a fighter was a boxer given in 1810, according to this (found on Wikipiedia), found in a book called "Boxing's Most Wanted™: The Top 10 Book of Champs, Chumps, and Punch-Drunk Palookas." At this time, boxing had few rules, and did not resemble today's sport. 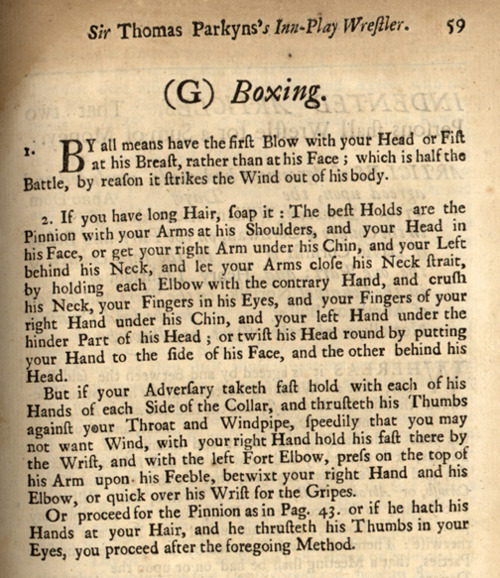 Eye-gouging, choking, and hits with forearms, elbows and legs were common, biting and grabbing are allowed, according to this image, from a book written by a prizefighter. Throughout the next hundred years, boxing became more regulated, similar to what we see today. Around this time (early 20th century), wrestling emerged, as a alternative to the more regulated boxing. Presumably, just as UFC did when it began, wrestling copied boxing's practice of awarding championship belts. So, it looks like King George III started it and it caught on to everyone else! Not the answer you're looking for? Browse other questions tagged awards boxing pro-wrestling mma or ask your own question.